Oteil’s new solo album Water In The Desert available for pre-sale TODAY! Sign up to Oteil's email list for news and updates. Welcome friends, to my new home on the web! I’m so happy you stopped by for a visit. There’s always a lot going on and I want to make sure to keep you informed about all of my latest projects and happenings. I’ll also be sharing my thoughts on music and other various topics, and I’d love to hear what you have to say. So do some exploring and let me know what you think. 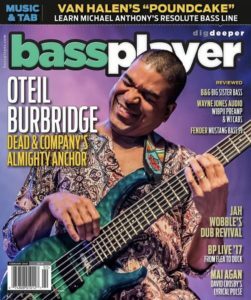 Enjoy, Oteil!